Year after year, fall protection lands at the #1 spot on OSHA’s Top 10 Most Cited Safety Violations list. Falls continue to to be among the most common causes of work-related deaths in construction, and yet they are preventable. In this course, you will learn how to identify the safety hazards often associated with falls and become familiar with the fall protection measures that could save both your life and the lives of your colleagues. Identify the working conditions in which fall protection is always necessary. Learn how to confidently assess which fall protection system is right for the job at hand. 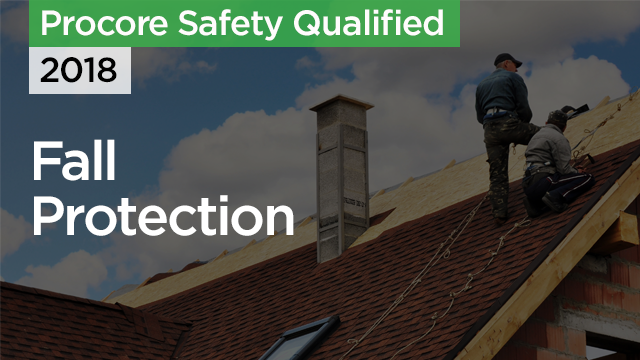 Understand the precise fall protection measures you are required to take while completing work on a ladder or roof. Learn how to plan ahead and foster a fall preventative culture on your job site.